No matter what time of day it is or what season, there’s never a bad time to enjoy a milkshake. That creamy goodness has a way of transporting you into a moment of pure bliss. Pair a milkshake with a gourmet burger, and you’ve got yourself a match made in heaven. 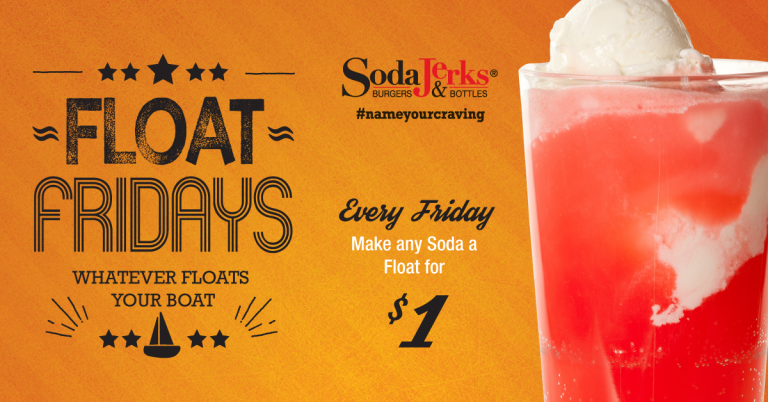 At Soda Jerks, our diner presents you with the perfect opportunity to curb your cravings by biting into one of our delectable gourmet burgers and enjoying a delicious milkshake. 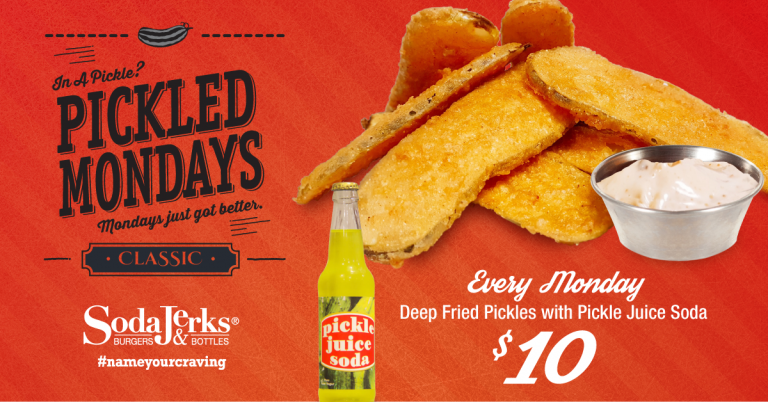 See if we can satisfy your taste buds by taking a look at our menu, and head to Soda Jerks today! In previous posts, we’ve talked a lot about our gourmet burgers. In today’s post, we give you some insight out the burger’s partner in crime – the milkshake. 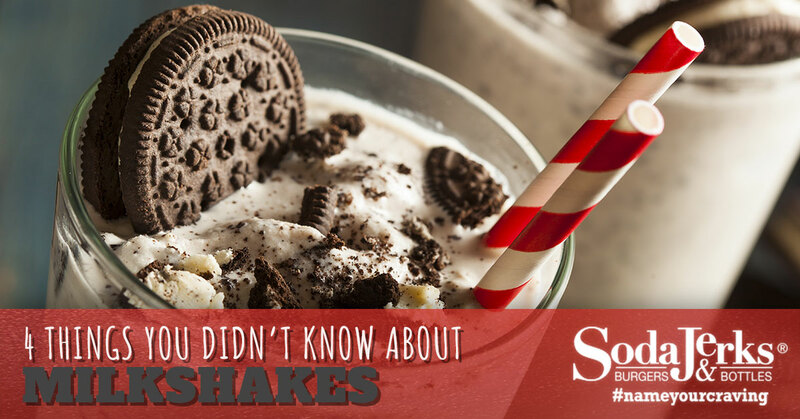 We will provide you with a few facts that you may or may not know about milkshakes, and if our post has your mouth watering for a creamy treat, come to Soda Jerks! The milkshakes you know and love today didn’t exist until 1922. The very first milkshakes were invented in the late 1800s, and originally only contained whiskey and eggs. From there, William Horlick invented malted milk. He combined dried milk, malted barley, and wheat flour. Malted milk was then sold to children and invalids as a “pick-me-up” drink. When you think of milkshakes, you’re probably picturing something similar to what Ivar “Pop” Coulson created in 1922. Coulson was an employee at a drugstore in Chicago, and he created the modern milkshake by mixing together malted milk, chocolate, and ice cream. From there, the milkshake became a sensation! If you go into a restaurant that serves milkshakes today, you’ve probably witnessed your delicious treat being blended using a special blender. Before this blender existed, milkshakes were created by shaking a metal container to mix the ingredients. The same year the modern milkshake was invented, Stephen Poplawski invented a malted milk mixing machine that made it easier for restaurants to cater to the milkshake demand. Imagine the biggest milkshake that you have ever had, now try doubling that size by 50,000! 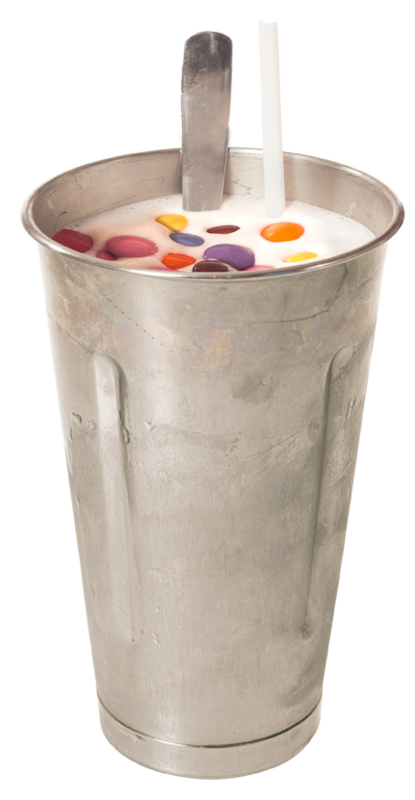 According to the Guinness Book of World Records, in the year 2000, a man by the name of Ira Freehof created the world’s largest milkshake. It was 6,000 gallons, which is approximately the size of 50,000 regular-sized milkshakes. Imagine how many people it would take to finish it. Depending on where you live, or where you visit, you may notice that people call milkshakes by a variety of different names. These names include anything from milkshake, shake, Frappe, or as we like to call it in Canada, a frosty! 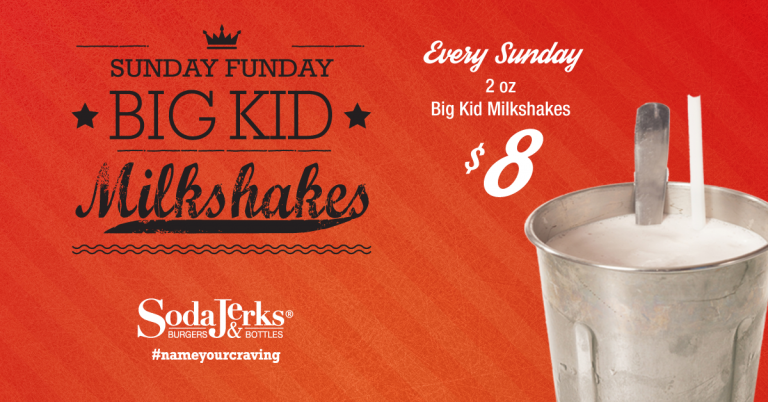 At Soda Jerks, we can provide you with all the best classic milkshakes in addition to some that have a little more flair. While our milkshakes don’t come close to the world record, they definitely make an impression. 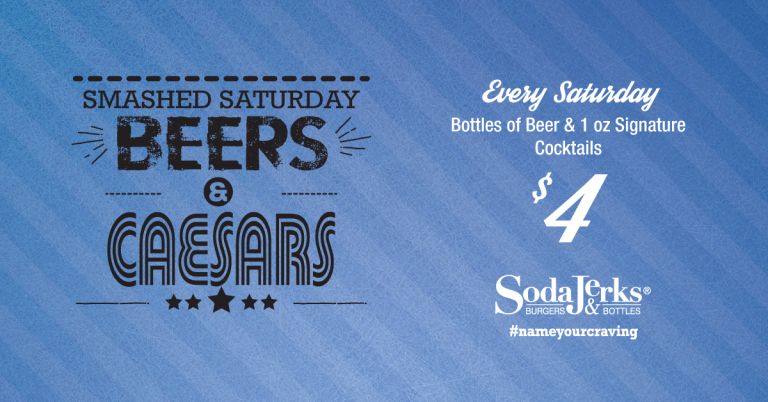 If you’re looking for a gourmet milkshake, burger, or something more, Soda Jerks has got you covered. 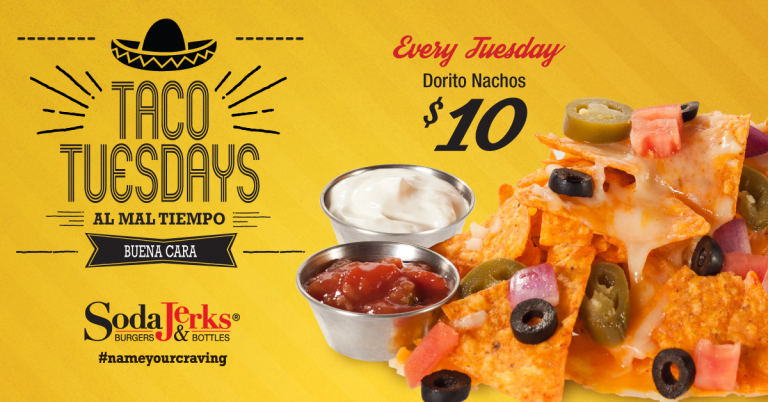 Check out our menu, and be sure to stop by to satisfy your cravings today!